The FF government’s response to the national catastrophe caused by Cyclone Winston would be laughable if it was not so serious. 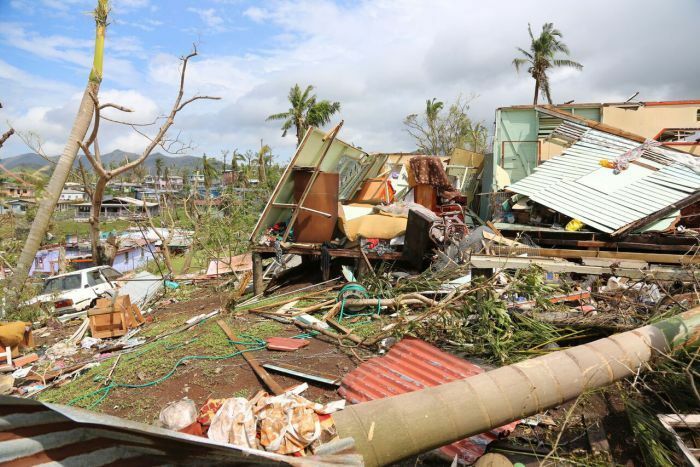 In a media briefing given 5 days after the monster cyclone struck Fiji, DISMAC reported only 8 houses completely destroyed in the Western Division and 6 partially destroyed. We all know that Winston with average wind speeds of 280 kmph made landfall in north-eastern Vitilevu and all areas from Tailevu to rural Lautoka were ravaged by the hurricane force winds with hundreds of houses and buildings damaged. Reports from independent sources in Ra, Tavua and Ba put the destruction or damage to homes at 70% – this means hundreds, if not thousands, of homes. In some cases, entire villages and settlements have been flattened and thousands of people have been rendered homeless, most having lost their entire belongings. Dismac’s claim of 14 destroyed/damaged houses in the western division shows that government is moving at a snail’s pace in assessing damage and providing relief to our needy people OR it is neglecting the West. Death toll now stands at 42 – the majority of these are from the Western Division, according to earlier reports. People’s immediate need in the cyclone ravaged areas are food, clean water and shelter. So far in none of its briefings has DISMAC talked about how much rations government has distributed so far and to which areas. Reports from the West reveal that none of the evacuation centres there has been provided government rations so far. Mr Tagicakibau most of these people fled their homes in the middle of the night, fearing for their lives when they faced the fully fury of Winston. Do you really expect them to start collecting food and clothing before they leave? In the same article FT quotes Nayalayala District rep Maleli Bari saying: “Most of them lost everything…and most people escaped with just the clothes on their back.” This is the reality Commissioner Western. In any case, if you open an evacuation centre, government should ensure there is sufficient rations there to cater for the emergency. The Prime Minister’s own message to a cyclone-ravaged nation was pathetic. His address reads more like a mini-budget then government assistance to a country suffering from a major catastrophe. unsecured loans by commercial banks with interest repayment of below 5%. C’mon Prime Minister which commercial bank is prepared to offer unsecured loans and at less than 5% interest rate? Why don’t you name the bank prepared to do this and give full details of this so-called offer? This is most unimpressive and highly insensitive. Government has to come up with immediate relief provisions for ALL affected areas. Thousands of people in Tailevu, Ra, Tavua, Ba and Lautoka have been severely affected by Winston – but there appears to be little focus on them. 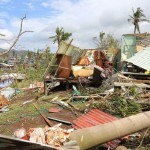 PM ‪‎Bainimarama‬ would do well to study the disaster response and relief programmes of previous governments and learn something from them.